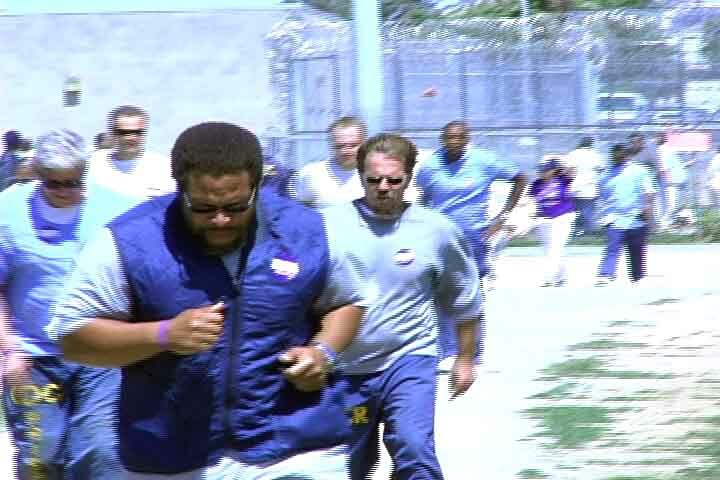 In late August, California State Prison, Solano conducted a cancer walk to raise money for the American Cancer Society through a Relay for Life. During the seven hour event, more than $2,850 was raised by inmates who walked and jogged 125 laps (approximately 25 miles) on the Facility IV track. Celebrities were present as well. Actress Lisa Raye McCoy and former Oakland/Los Angeles Raider Akili Calhoun provided inspiration and encouragement to the participants. This first-time event allowed inmates to contribute to cancer research, participate in supporting the local community of Solano County, celebrate survivors of cancer and pay respect in memory of loved ones who have lost their battle to cancer, according to Kimberlyn Young, Associate Warden, for programming at CSP, Solano. The institution plans to do this every year. Outside the prison, others contributed as well. A link on the Solano County Relay for Life website was created to provide the friends and families and opportunity to contribute and support the event. All, told, inmates on all four facilities donated through their trust accounts with more than $2,000 raised for Solano County Relay for Life chapter of the American Cancer Society. Meanwhile friends and family of inmates raised $850 through a website, set up by the American Cancer Society to support the Relay for Life event. Model and actress Lisa Ray is suffering from Multiple Myeloma – an incurable cancer of white blood cells. She was on hand to share with the inmates how their efforts go to support many patients, including her. Former professional football player Akili Calhoun is now a Clinical Psychologist who specializes in working with incarcerated adults. He earned his doctorate in clinical psychology, after serving as a volunteer working with juveniles who are at-risk. He suffered an injury during his professional sports career that cut that career short. He told inmates he found his calling during that volunteer work.